Hans Rosling passed away on February 7, 2017. His book Factfulness was published in 2018. It was completed by his son and daughter-in-law after his death. The book featured in Bill Gates' list of "the most important books he has ever read". Rosling, born in Sweden, trained as a doctor in Sweden and India and worked in Mozambique for many years. Subsequently, he became involved in public-health policy and realised that people have very outdated knowledge of facts. And that they deserve to know better. More importantly, people in power, like politicians, policy makers, regulators and business leaders should develop their view and take decisions based on updated, holistic data. On conducting various surveys across countries, age groups and demographic sections, Rosling realized that after a point, people stop looking at facts. Most of us stay with the preconceived notions we had formed in our academic years, for the rest of our lives. And therefore, some of the biggest decisions of our lives, of institutions and of nations are based on outdated facts. 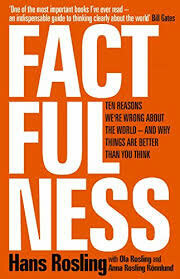 Rosling's attempt to help people get a big picture view based on latest facts didn't go in vain. Government leaders, business leaders and even UN representatives acknowledged the need to study the latest facts in context of their decision making. The reason I am telling you about this is because this book opened up my eyes to the big picture I was, until recently, completely missing out on. I look at facts day in and day out. It's part of my job! Company financials, sector data, demographic data and macro-economic data have been part of my routine for almost a decade and half. But, I realized that I was not forming opinions by putting the pieces of all the data that I came across, together! And when I began to do that...putting the pieces together, I noticed trends that were not seen in the past 5, 10, 15 and even 20 years. Whether it is Indian households, for the first time ever, getting wealthier due to the stockmarkets. I realised the need to work on my own version of 'Factfullness'. One that is most relevant to my readers like you. 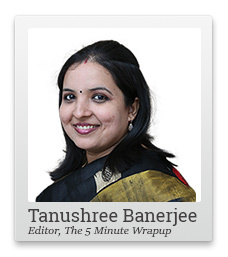 One that can help my readers form opinions based on holistic and updated facts. And importantly, one that could help make the most of possibly the biggest wealth creating opportunity of our lifetime. Of course, I needed loads of resources and hundreds of man hours from some of my colleagues, to take up this project. But things finally started rolling August 2018 onwards. And I must tell you that the last few months have been enlightening. As analysts, we typically focus on the best stock picking strategies all our lives. We study the proven strategies of super investors. And we put those into practice. But what differentiates super investors from reasonably successful ones is the ability to look at the big picture clearly and join the dots. So, as I get closer to joining the dots for you, in one of the biggest wealth building projects of my lifetime, I have just one request. Be prepared to look at facts through a new prism. Since we are speaking of updated facts, I wonder if many of my readers would be aware of the extent to which bank credit growth has recovered, in recent months, without looking at this chart. The credit growth that banks in India posted in December quarter of 2018, at 15.1% YoY, is not just very healthy. It's nearly 2 times GDP growth. But it also back to the five-year high. Equitymaster requests your view! Post a comment on "The Book that Influenced the Biggest Wealth Building Project of My Lifetime". Click here!